What comes to mind when you think about Budapest? Is it the copious number of ornate spas on offer? The opulent and iconic statues or buildings? Or is it the trendier ‘ruin bars’ that come to mind? 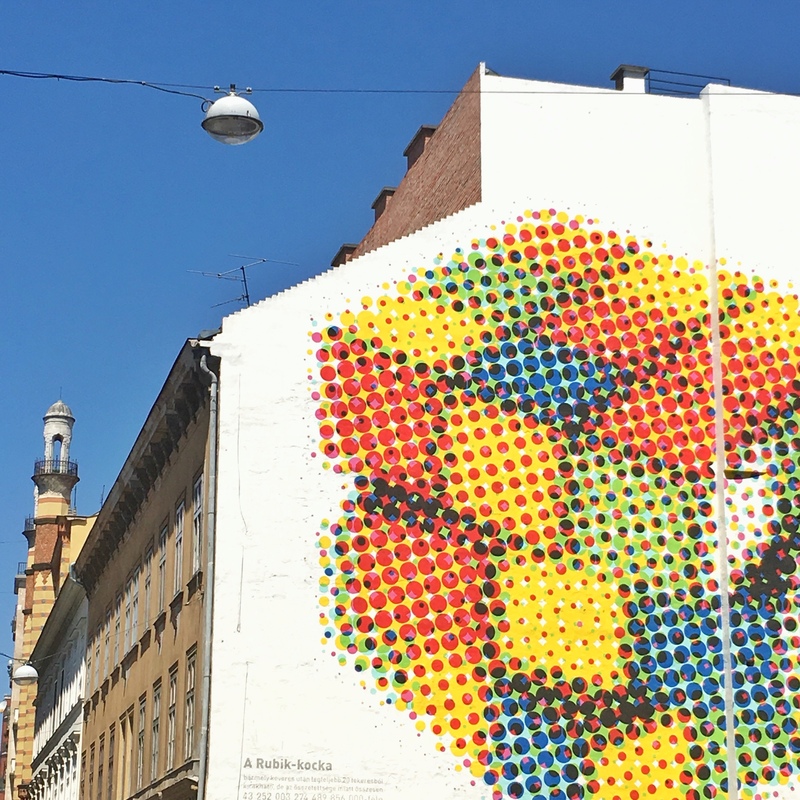 All of these things are on offer in this grand and historic city, but what really caught my attention during my recent stay was the street art on every street and corners. 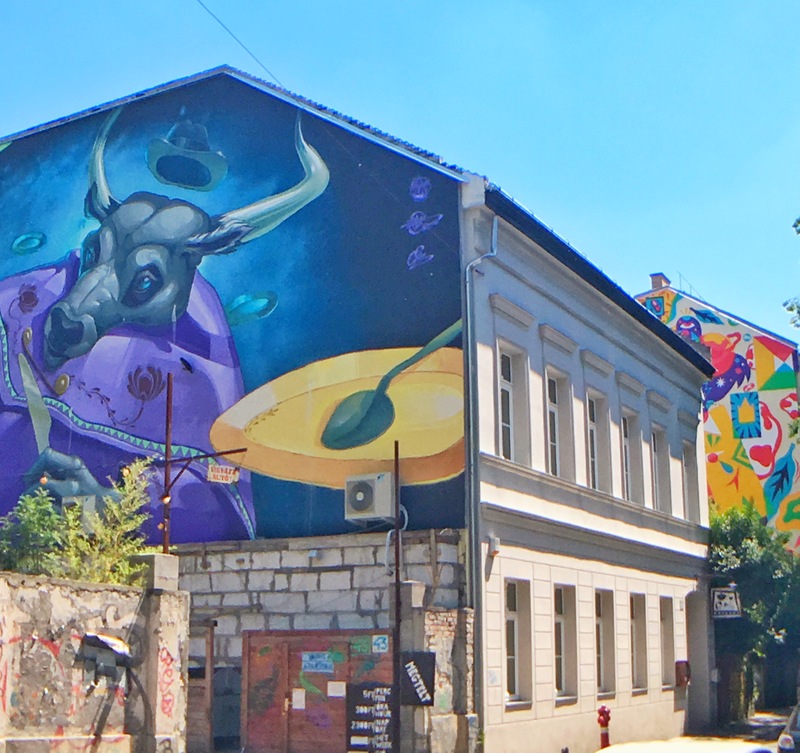 This wasn’t just the odd graffiti-style name scrawled on a wall, these were huge, stunning works of art covering entire walls or decorating sides of buildings throughout the ‘Pest’ side of Budapest. What I hadn’t realised was that these colourful works of art were put there just before our arrival, literally. 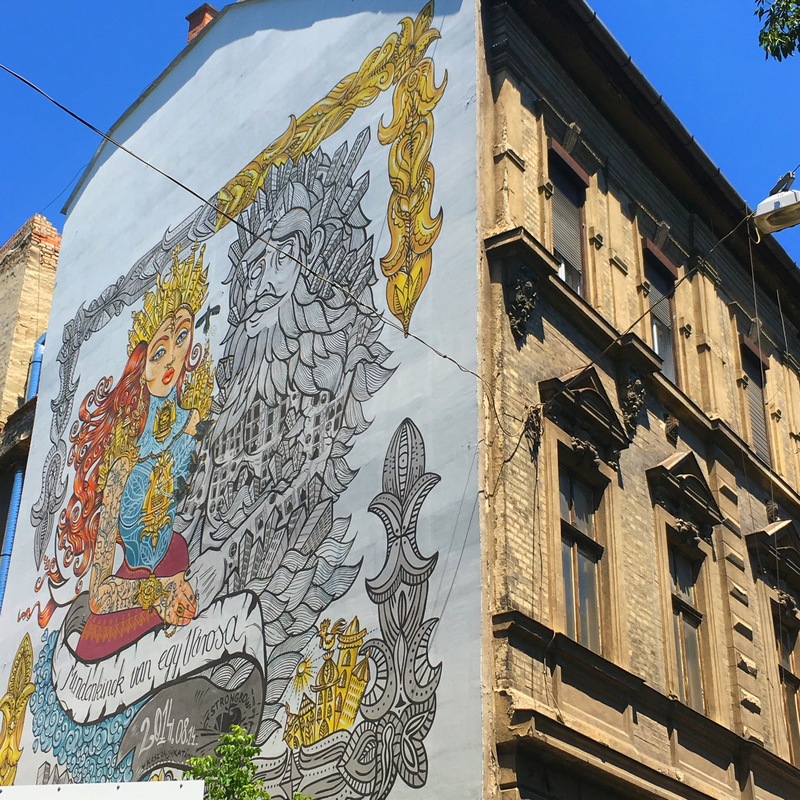 Budapest is home to street artists who are very clearly passionate about their work, as much as they are about their home city. 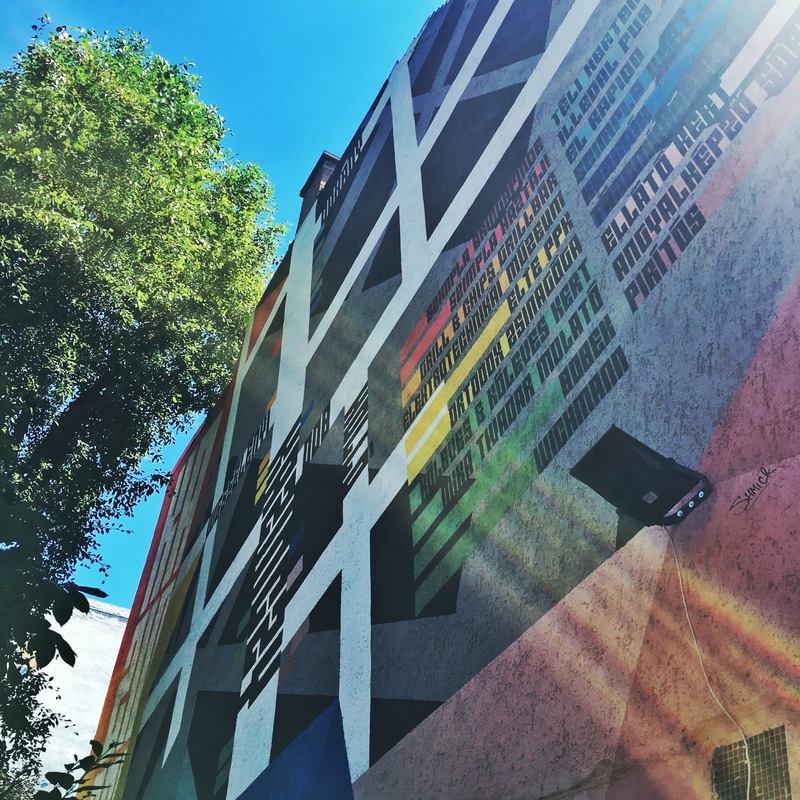 So, what really struck us, without even knowing this, was just how much they want to brighten up the streets and create something that is not only pleasing to the eye, but that puts a smile on the person walking around the corner and taking in their street art. 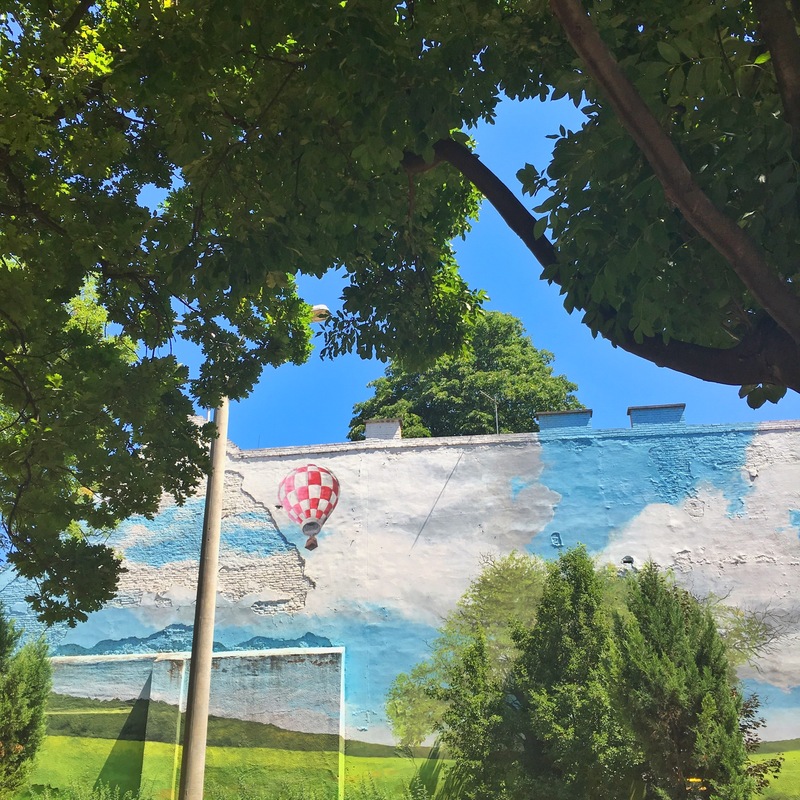 We noticed the odd tag on walls or on the floors, sometimes even on park benches, some decorated beautifully and made you want to stay and sit a while. But, we couldn’t help but stop and admire each and every (enormous!) piece of art work we spotted as we explored the various neighbourhoods Budapest has to offer. Each piece was so different, each with its own message behind the beauty. Some were in parks, on walls looming over children in the playground. Some on crumbled ruins of historic buildings, clinging onto the crumbling brick work. 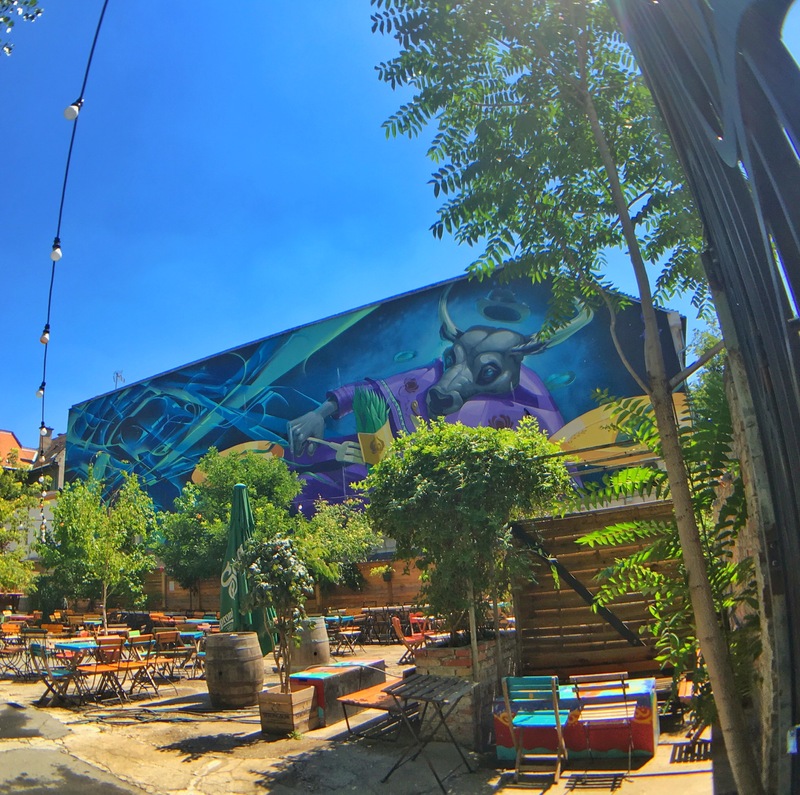 Some were nestled within ruin bars, full of tourists and locals alike enjoying a cold drink in the sunshine and connecting with friends, new and old – such a different vibe everywhere we looked. 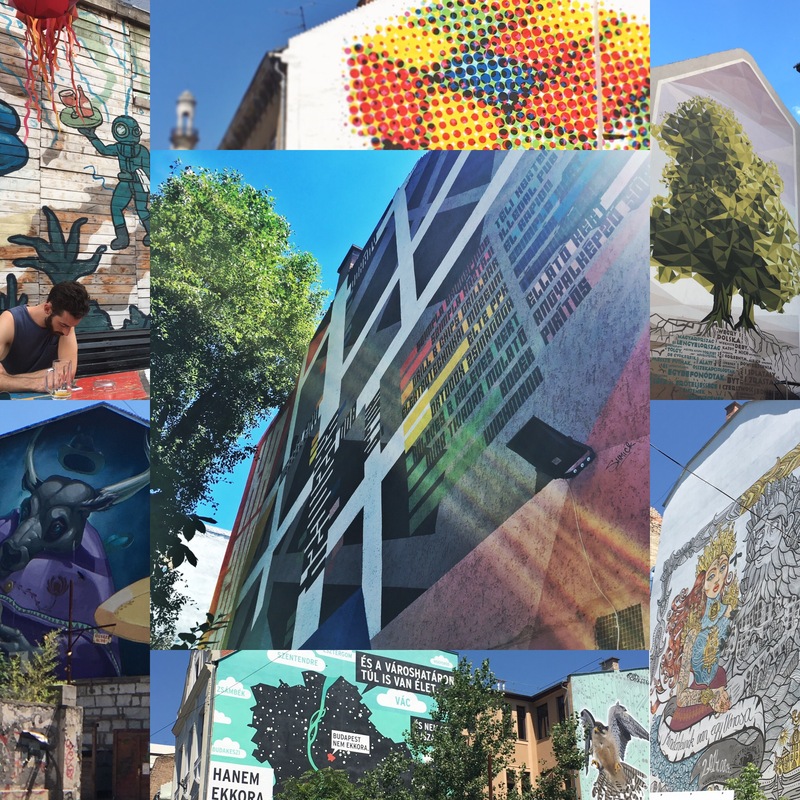 There is even a street art tour in Budapest, I didn’t realise until I returned to the UK, but this could be very interesting if you get a chance to try it. 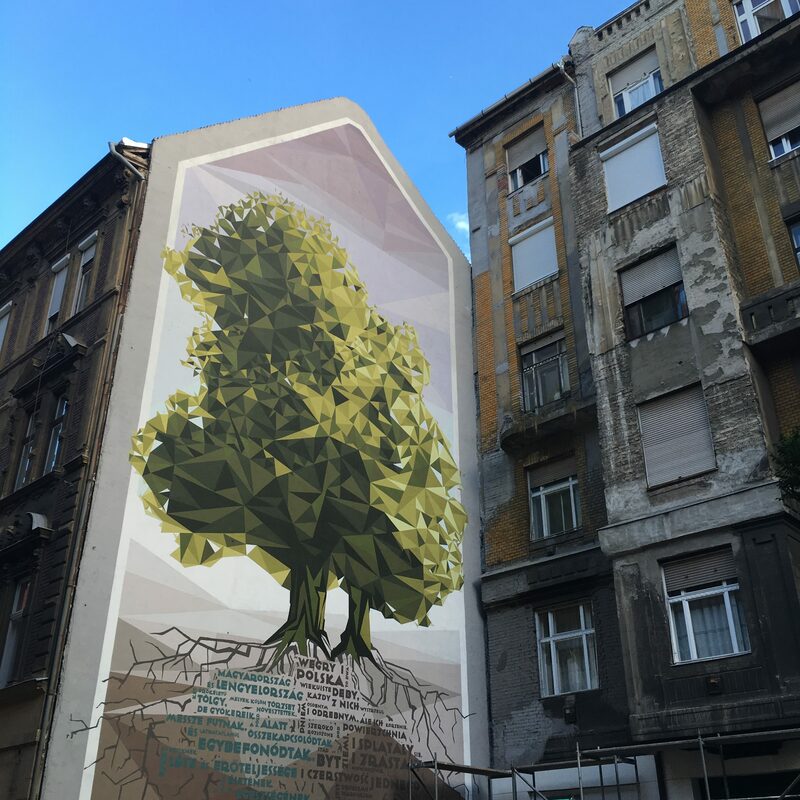 Ten walls around Budapest were decorated with these oversized paintings around Central Pest throughout August and September, alongside an arts and music celebration called the Színes Város Festival. 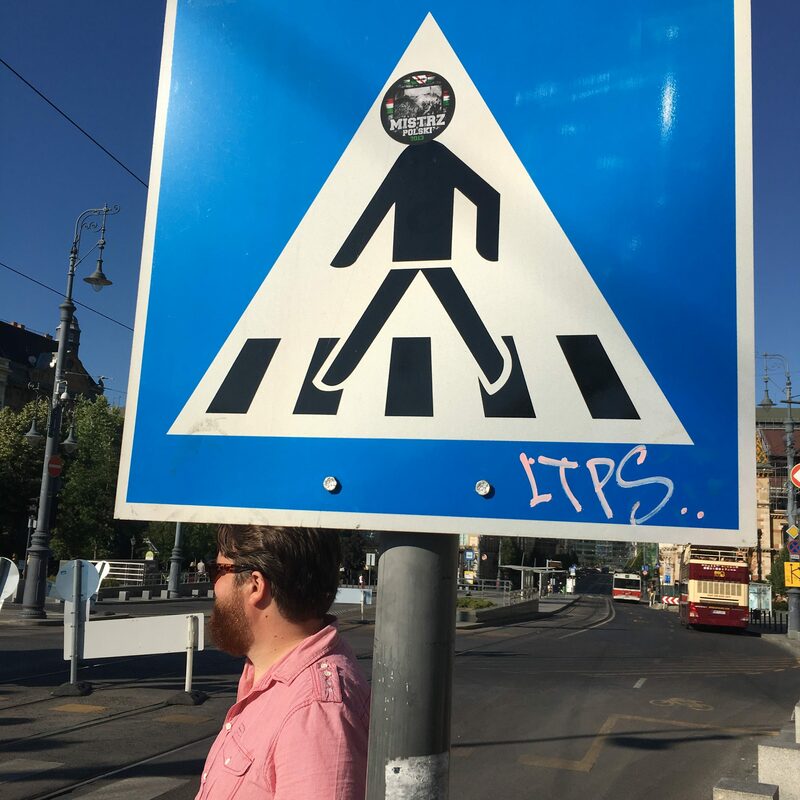 I truly hope they keep doing this over time, it was so much fun stumbling upon these works of art and it really helped to make us feel at home as tourists exploring Budapest for the very first time. To find out more about each of these creative designs, click here. 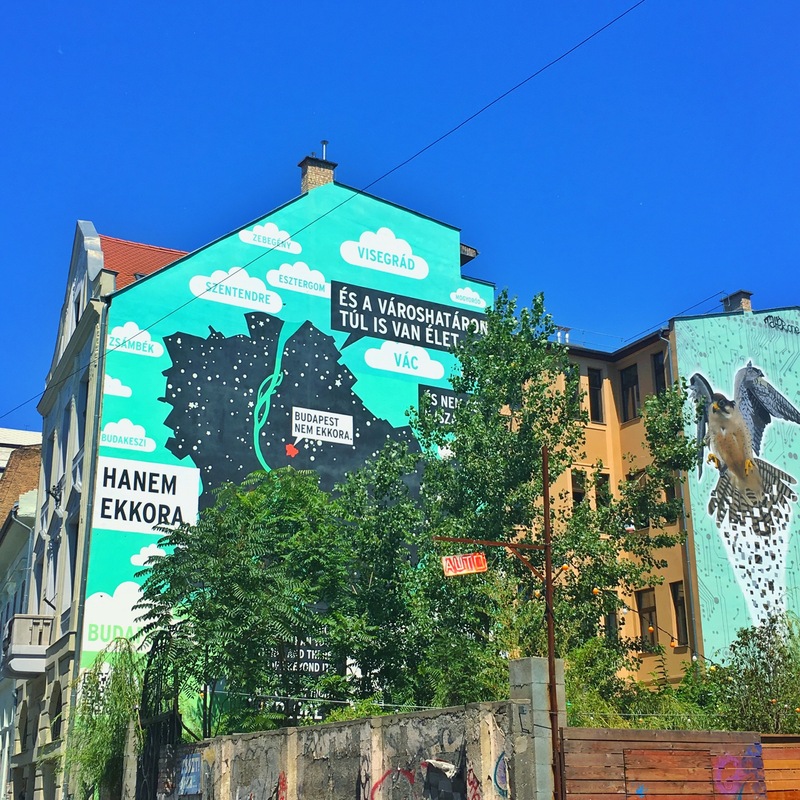 You can read my blog on Places You Must Visit In Budapest here. 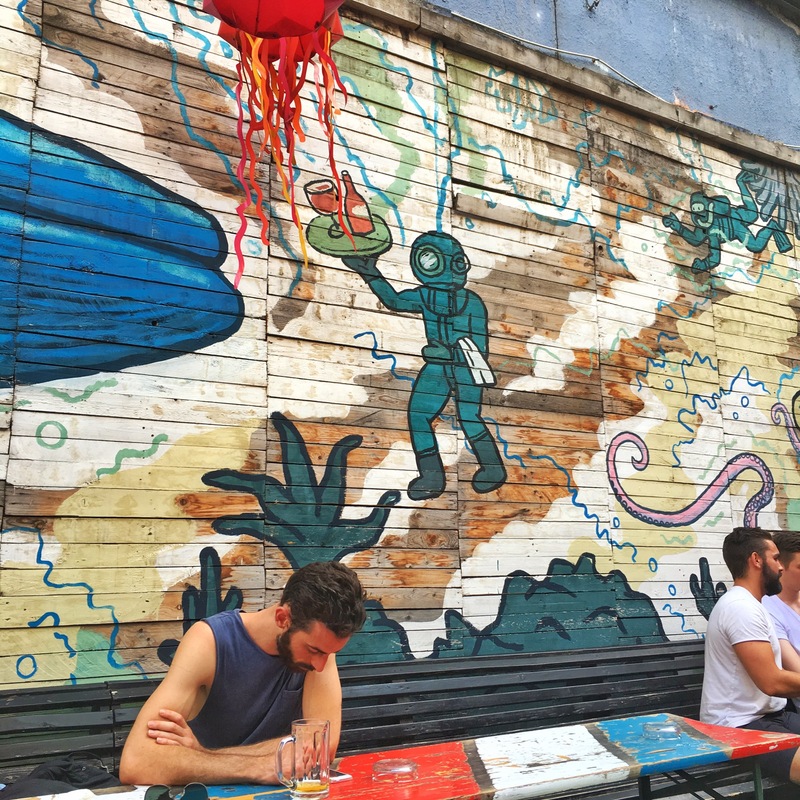 Read my ultimate guide to eating & drinking in Budapest here.